David Le/Gloucester Times. 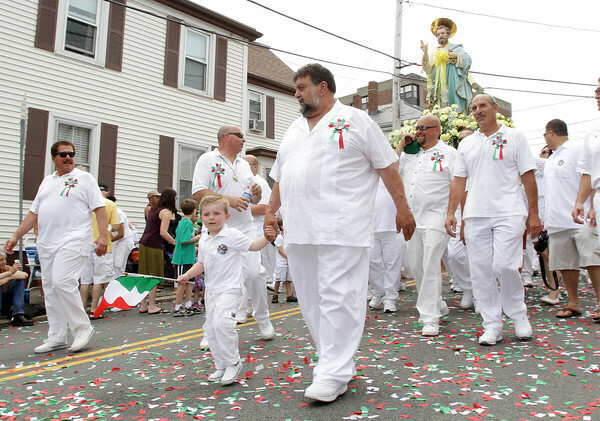 Jack Nicastro waves an Italian flag as he and Dominic Nicastro lead the statue of St. Peter down Prospect St. on Sunday afternoon. 6/25/11.